Edward J. 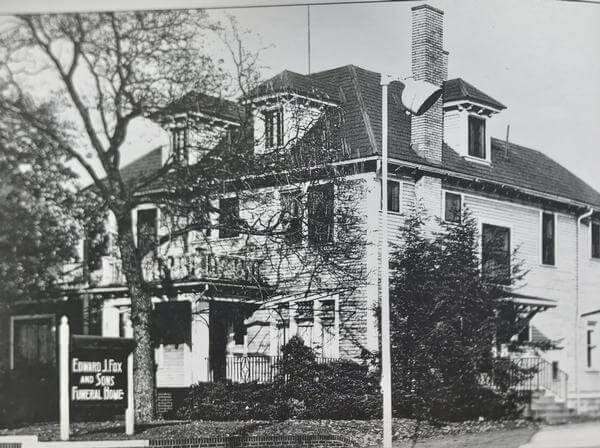 Fox & Sons Funeral Home was established in 1919 by Edward J. Fox. The first establishment was at 219 Chapel Place, just north of downtown Youngstown. Mr. Fox studied at the Philip Hayden School of Embalming in Cleveland and worked for a short time with Mr. John McGreal, a prominent funeral director of the city. More than two years prior to 1919, he qualified before the State Board of Examiners and received his license, but was delayed in carrying out his program locally due to being called into Military service. After serving, he married the former Mary Letitia Holden on February 16, 1920. They had three children, John Edward, Mary and James Edward. After a few years on Chapel Place, Mr. Fox moved his establishment to 1825 Oak Hill Ave. on the South Side of Youngstown. He was one of the founding fathers of Saint Patrick Church, which was to be just a few blocks to the north on Oak Hill. His oldest son, John, entered Cleveland Embalming School before World War II, but like his father, his career was interrupted by his military service. In 1945, after the war, John completed his examination before the State Board of Examiners and joined his father in the business. Edward’s youngest son James entered the Cleveland School and received his license in 1949. Edward J. 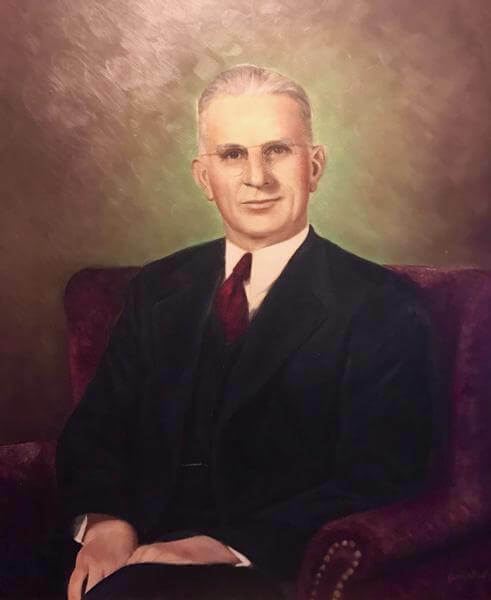 Fox died September 1, 1954 and his sons were left to carry on the funeral business with the help of their mother, Molly Fox, and partners Evar Swanson and Eugene Gelonese. On November 22, 1963, John & Jim moved the funeral home to its present location at 4700 Market Street in Boardman. The property was owned by the Kelly family and the new funeral home incorporated the original house into the design. 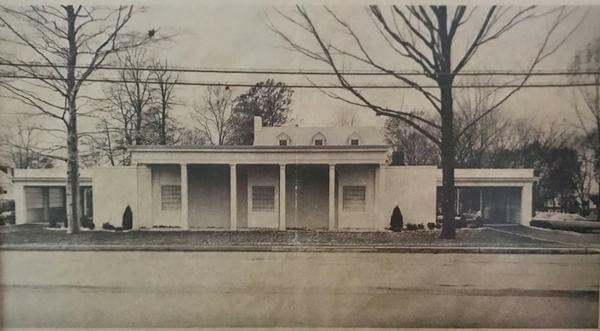 The funeral home was a state of the art facility in 1963 and is still functioning today! John Fox died on November 14, 1995 and the funeral home was then run by Jim. Fox , Christopher Engartner, who joined the firm in 1984 as Jim’s partner, and Edward Fox, John's son who had studied under the late Eugene Gelonese. Jim Fox passed away on May 14, 2013. 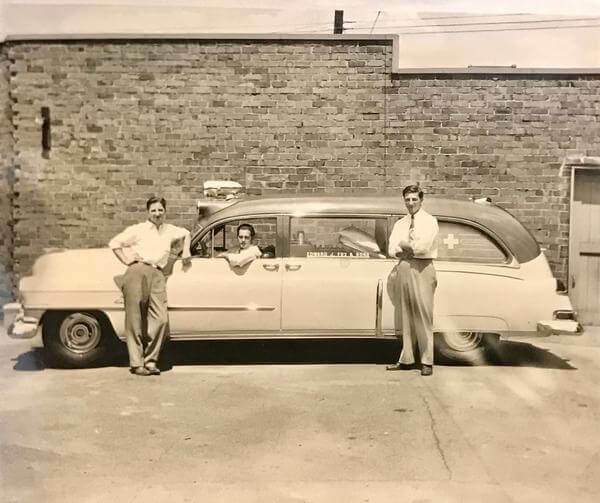 After Jim's passing, Christopher was left to carry on the funeral business with the help of funeral director, Peter Morrison, and employees Brad Loew and John Sheridan. On December 10, 2016, The Fox Funeral Home suffered the loss of long-time funeral director and friend, Peter Morrison. To date, the funeral home is run by Christopher Engartner with the help of long-time employees Brad Loew and John Sheridan and funeral director, Jennifer Detesco-Innocenzi.